In 1743 the Club was meeting at Mr Joseph Sunton’s House every Thursday night. 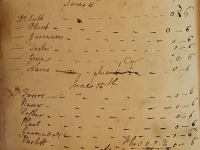 Joseph Sunton was a victualler, who became a freeman of York by purchase in 1728, the same year as he married Elizabeth Stead at St. Martin’s, Coney Street. He became the proprietor of the Turk’s Head Coffee House, Coney Street in 1746 and had changed its name to Sunton’s Coffee House by 1749. He died on 25 January 1761 and his widow continued to run the establishment until her death on 20 August 1762. By 1764 it had been taken by Matthew Kidd and was now called Kidd’s Coffee House. It was situated next door to the George Hotel, Coney Street (at the back of the Herald Office). Matthew Kidd moved to the York Tavern in 1771 taking the Good Humour Club with him. In 1781 MB4 confirms that the club met at the York Tavern every Thursday night, except in the Race Week. Nowhere in the extant articles of Association is it stated what the purpose of the club was. According to John Ward Knowles this Club was formed with the object of promoting “Good Humour” among the members. That bowls of punch were used to settle wagers and to celebrate the marriage of members and that two annual suppers, amongst others, were held it would seem that the club was mainly concerned with those attributes of good living, food and drink. The suppers were held, in general, around Christmas; one at the expense of the landlord of the hostelry in which they met and the other, the ‘contribution supper’, when a collection was raised among the members to pay for both it and a Christmas Box to the ‘boys’ at the inn. 27 Dec 1744 This night it was agreed Nem:Con: that all wagers made in the Clubb for Liquor whether a Bowl or Bowls of Punch, or a Bottle or Bottles of wine etc. is to be drunk in the said Clubb when the said are determined. 22 Jan 1745 Memorandum. Mr Theo Garancieres laid two Bottles of Port Wine to one with Mr Fell, if Mr Arthur Ricard will not be the first Married Man of this Club, amongst those who are at present Unmarried Members. 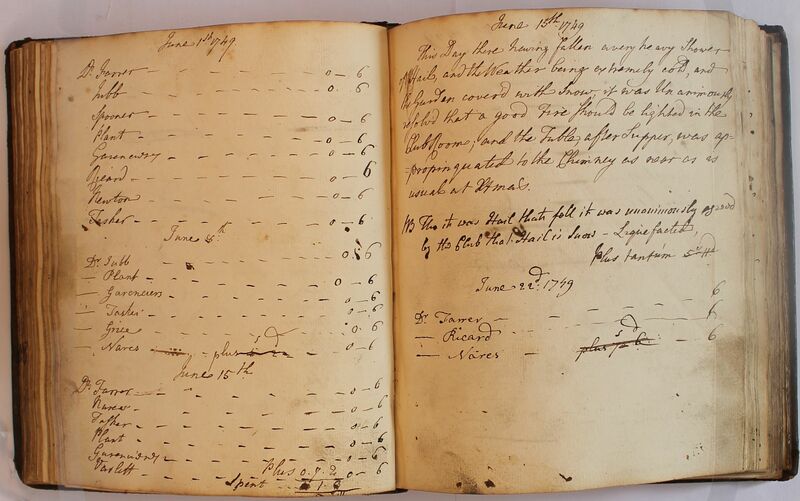 The minute books are also used to record the payments of 6d each made by members for absence. 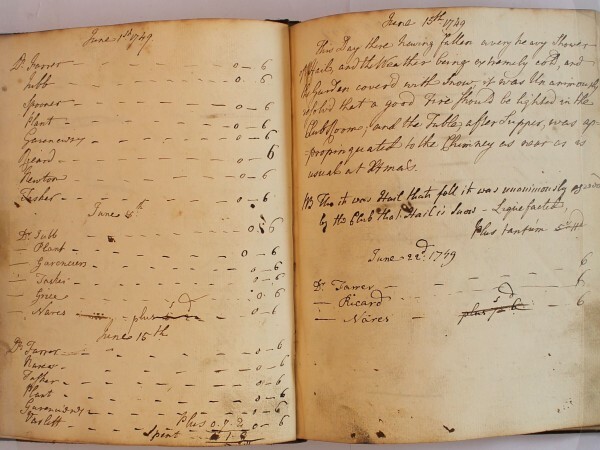 There is only occasionally any record of outgoing payments, but it can be implied that they were made, presumably to the landlord, at each meeting as there is often a surplus (overplus) amount to be carried forward to the next meeting. However, it seems that the Club’s secretary was not a very careful accountant as the payments recorded in the minutes do not always tally! 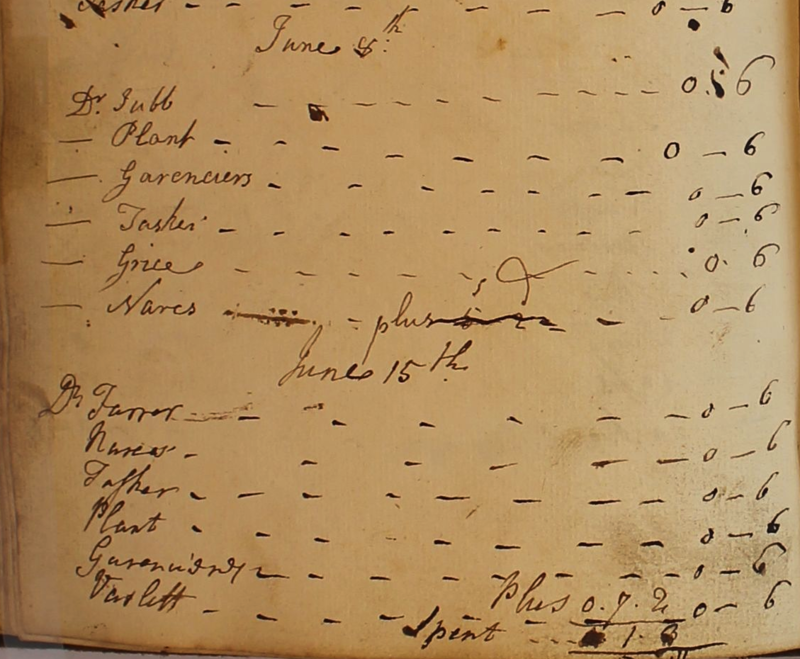 In the example below from 15 June 1749, you can see the amount does not balance with the total from the previous meeting when there was a surplus of 5s 2d.